I had high hopes for this book and perhaps that's where my problem with it lies. 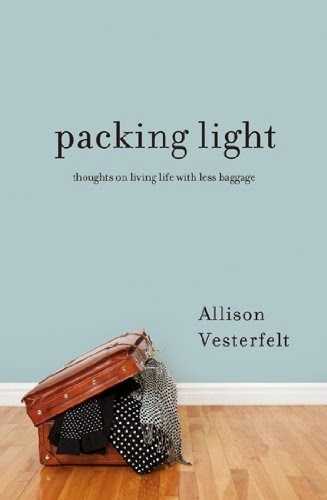 I was expecting it to be a true memoir of a trip across the country but instead, it's more of a let go and let God while taking your own life into your hands type of book. She touches on moments that touched her, but doesn't really talk as much about the trip as you might think. Over all, I would say it's a good book if you're looking for something to inspire you in your Christian walk, but please don't mistake it for a Bill Bryson travel guide or you'll come away disappointed. I enjoyed the book, but I'm not sure that I'm in the right place in my life for it to have really touched me. I would really love to see a follow up book where she really talks about the trip and what happened afterward. I was hoping for an epilogue that gives the reader an update on her life and on her friends'. I received a copy of this book through the publisher for the purpose of this review. All thoughts, comments and opinions are mine.